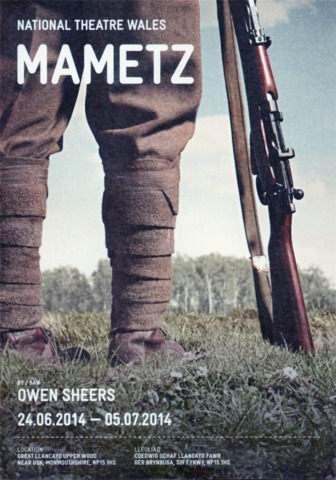 Mametz/National Theatre Wales: This large-scale, site-specific production – performed in ancient woodland near Usk in Monmouthshire – gives audiences a vivid glimpse into life and death in the trenches and on the battlefields of the Somme. 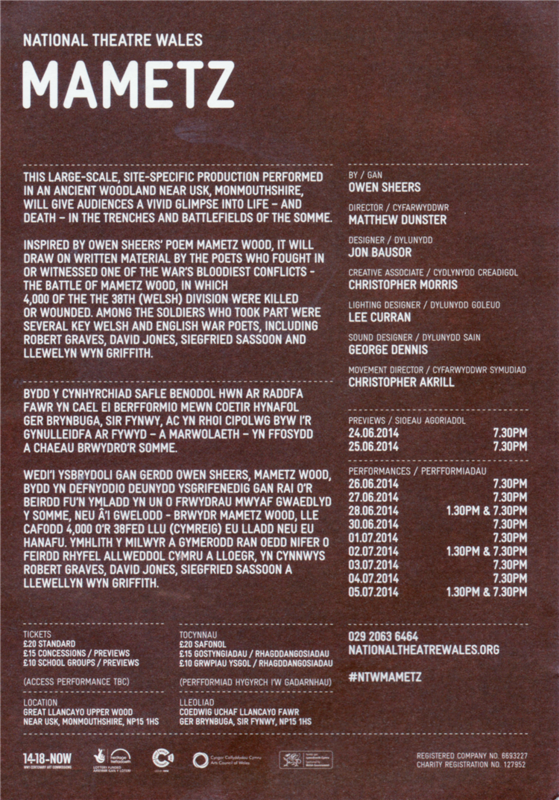 The production is inspired by Owen Sheers’ poem Mametz Wood, recalling the battle in which 4,000 of the 38th (Welsh) Division were killed or wounded. Sometimes referred to as ‘the poets’ battle’, among the soldiers who took part were several key Welsh and English war poets, including Robert Graves, David Jones, Siegfried Sassoon and Llewelyn Wyn Griffith, and Sheers’ own great-great-uncle, William Cross (24 June – 5 July 2014). For over a decade I had been working on an idea for a film concerning one of the bloodiest battles of the First World War - Mametz Wood. As a BBC producer I commissioned in 2001 a short film about the poets who witnessed the battle. https://vimeo.com/91412920 This film was presented by Owen Sheers and led to him writing his powerful poem, Mametz Wood (which is now on the GCSE curriculum). In 2013, Owen Sheers and I created and proposed a large scale site-specific theatre production to mark the 100th anniversary of The First World War. 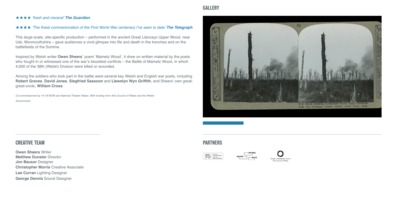 The result was a commission from National Theatre Wales, part financed with one of the 14-18 NOW WW1 Centenary Art Commissions, supported using public funding by the National Lottery through Arts Council England and the Heritage Lottery Fund to research, write and create a play to tell the story of the battle. My role was fluid throughout the production. I was the initiator of the project along with co-creator Owen Sheers. 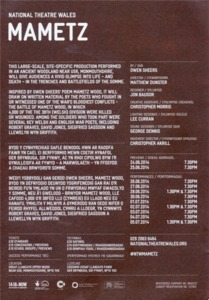 When the production received a green light I became the Creative Associate on the project, worked closely with both the writer Owen Sheers and director Mathew Dunster (initially researching, then advising/shaping the production. 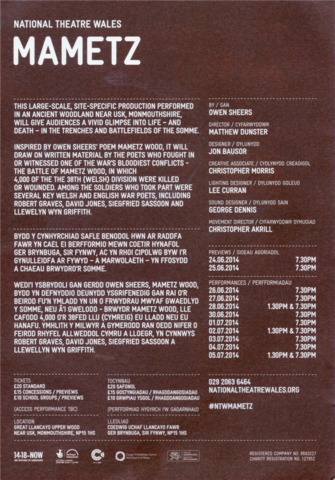 I also directed audio/visual and printed materials used in the finished performances.